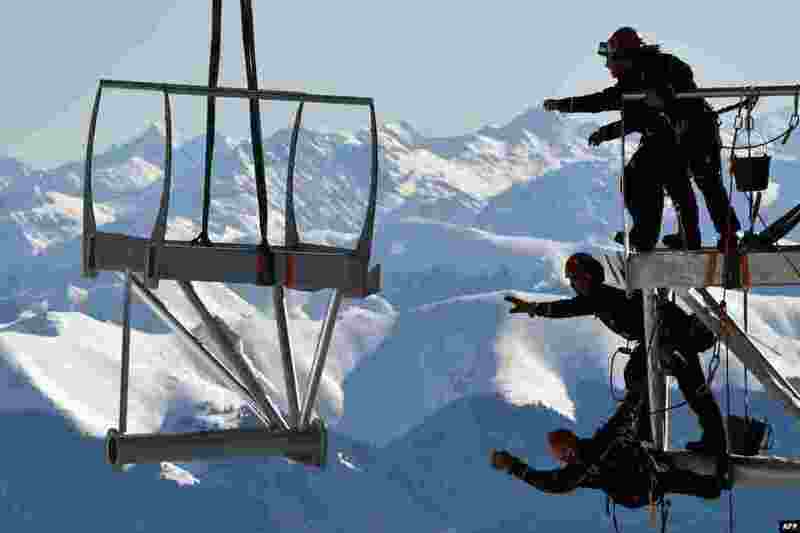 5 Technicians reach out to catch a piece of a metal structure during the installation of a 12-meter-long platform at the top of the Pic du Midi, one of France's tallest mountains, in Bagneres-de-Bigorre. 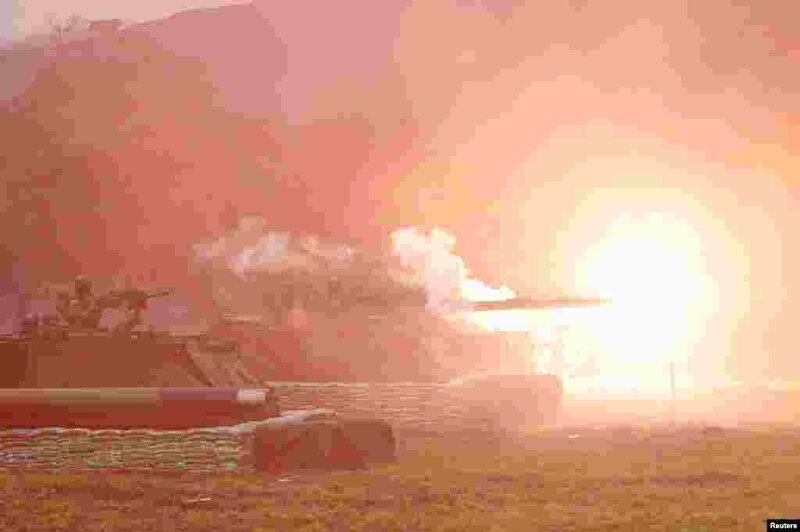 6 A Taiwanese M60A3 tank fires off blank shells during a military drill in Hualien, eastern Taiwan. 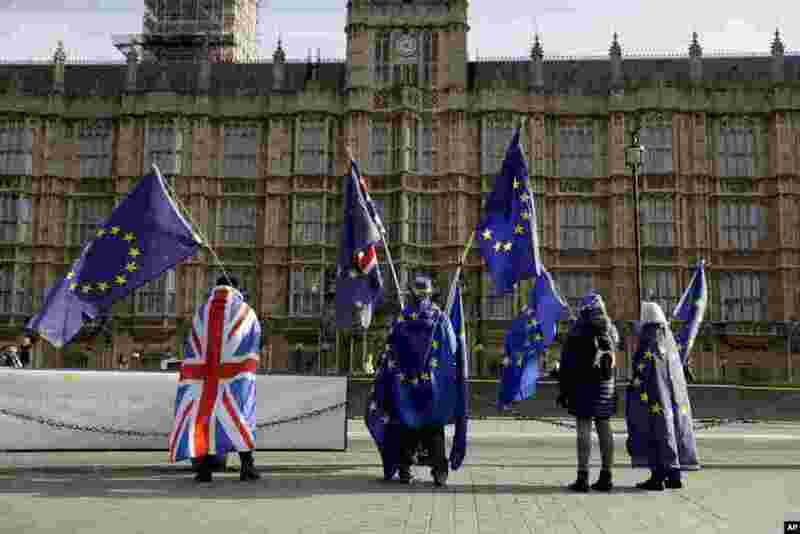 7 Pro-EU membership supporters protest against Brexit across the street from the Houses of Parliament in London. 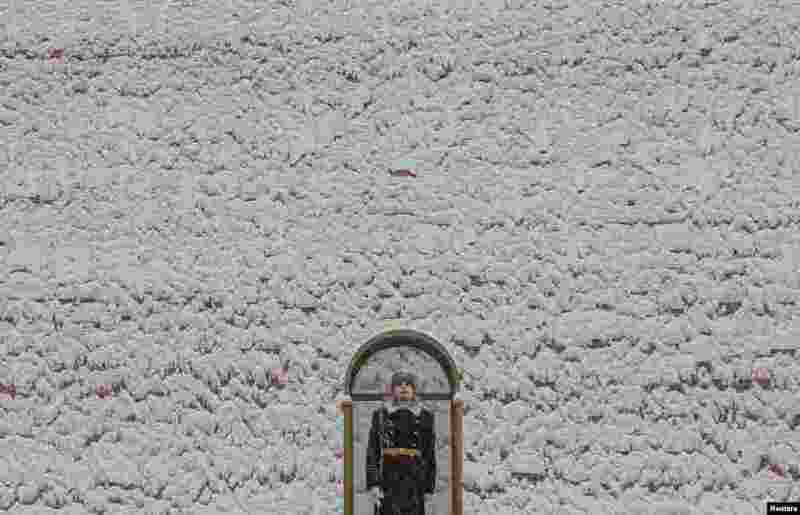 8 A honor guard stands at the Tomb of the Unknown Soldier by the Kremlin wall in Moscow, Russia.